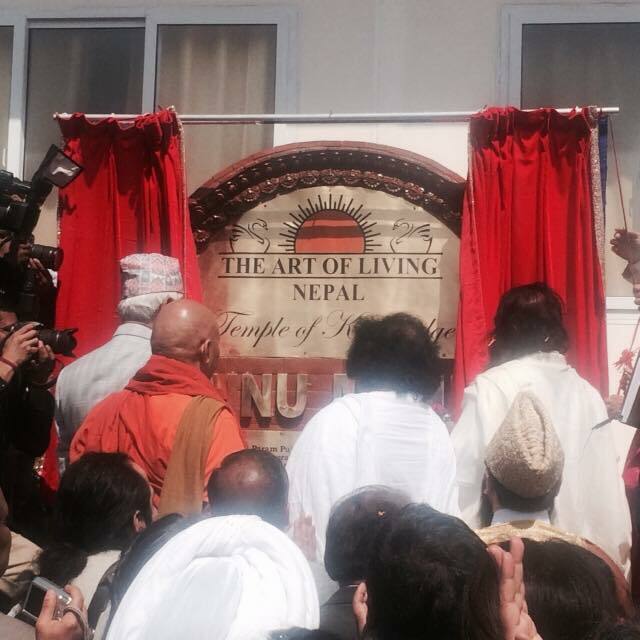 KATHMANDU, March 8:Yoga Park and Yoga centre that lie in Shankhamul Bank of Bagmati river were inaugurated jointly by Spiritual leader Shree Shree Shree Rabi Shankar and Minister for Urban Development Arjun Narsingh KC monday. 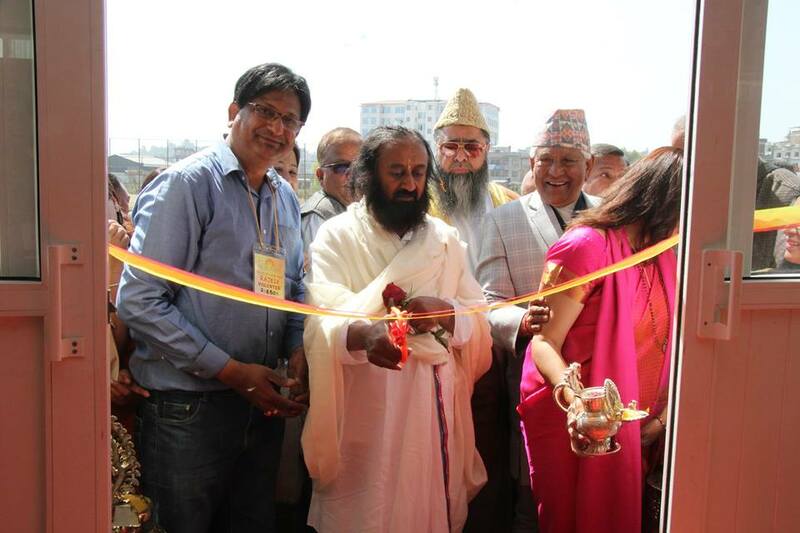 According to the High Powered Committee for Integrated Development of Bagmati Civilisation the park and centre were both built by Art of Living for HPCIDBC. HPCIDBC’s project manager Rajesh Prasad Singh said with the inauguration of both structures, the official opening of Bagmati Clean-Up campaign’s 200th week celebration also began today. The 200th week of Bagmati Clean-Up Campaign is going to be marked with more than 50,000 people cleaning the Bagmati River on 11 March 2017. For the special mega event the committee has allocated 15 major places from Sundarijal to Sundarighat where people will gather and begin cleaning the river in the morning of the 200th week. According to member of the 200 week celebration preparation committee and one of the initiators Raju Adhikari, after cleaning the river for one hour, the cleaners will gather at Shankhamul for a formal programme, which will be addressed by Prime Minister Pushpa Kamal Dahal. The campaign saw more than 500,000 participants and the involvement of over 140 organisations in its 198 weeks so far. Similarly, the High Powered Committee for Integrated Development of the Bagmati Civilisation is constructing 22 gardens on the banks of the river. According to campaign volunteers, there is a core team of around 50 volunteer members that continuously cleans the Bagmati every Saturday. Since the campaign began more than 8,200 metric tonnes of garbage has been removed and more than 500,000 people have joined the campaign. The campaign was launched on 19 May, 2013. The concept was generated six months earlier when the five main organisations sat down and realised that cleaning the Bagmati was a major project that had to be taken over by the citizens themselves. There are more than 140 groups that work for the Bagmati Cleaning Project.